It’s important for dentists to regularly evaluate the type of equipment used in the dental office. Dental imaging is constantly changing and staying up-to-date on the latest technology not only makes the dental practice stand out but it also provides patients with the very best care. One of the newest trends in imaging is the handheld X-ray unit. These units are more easily positioned compared to a bulky wall-mounted unit, and many handheld devices can produce better images than other units. There are many things to consider when purchasing handheld X-ray devices. Only a few units are approved by the Food and Drug Administration (FDA). 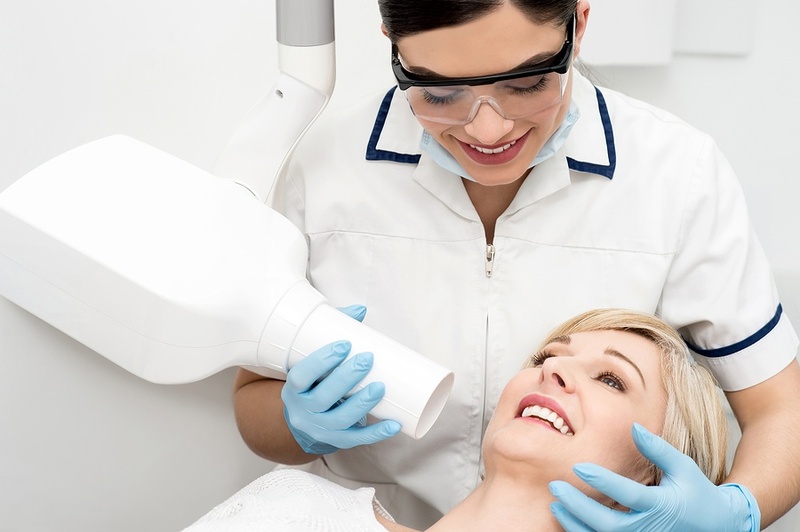 Non-approved FDA units are not vetted and may not guard against scatter radiation, which means the hygienist or technician who is administering the X-ray may be at risk for exposure to ionizing radiation. Additionally, the X-ray source itself may leak radioactive material, which have the potential of exposing the operator’s hands to radiation. Before implementing new technology into the dentist office, it’s smart to thoroughly investigate whether the new device meets safety requirements. It can be intimidating for hygienists or technicians who are accustomed to standing behind a wall during every X-ray, to start using a handheld unit. It’s important to offer the proper training to staff members and demonstrate the unique safety features of any new device in the office. Ensuring proper usage of new equipment will help protect against accidental exposures and offer peace of mind to staff working with x-ray equipment. There is always a potential risk that equipment can malfunction and accidentally expose an operator to radiation. Since radiation cannot be seen, smelled or heard it’s important for hygienists and technicians to wear a dosimeter badge to monitor radiation exposure. A smart dosimeter, such as the Instadose+ TM dosimetry badge, detects an individual’s radiation exposure and provides an on-demand report of daily or cumulative exposure. It’s a smarter way to monitor radiation exposure.